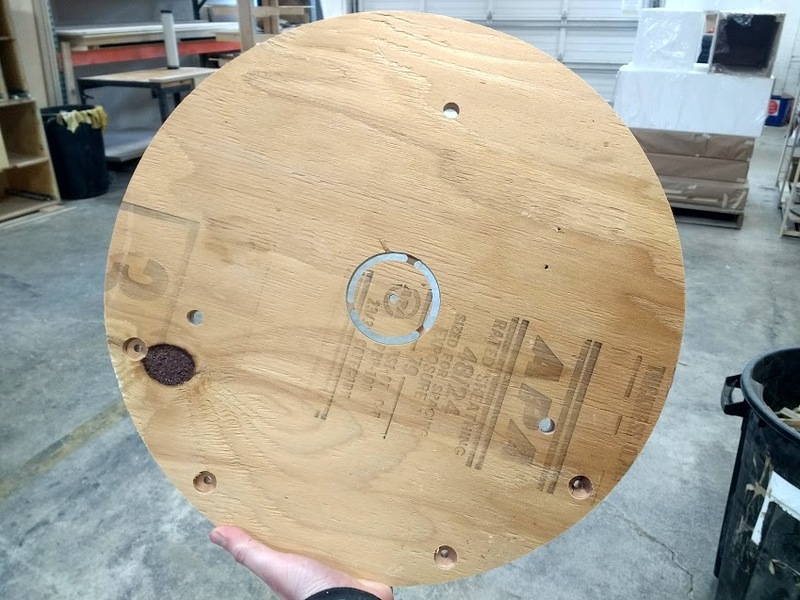 This version of the sled leaves the middle puck in place and adds a center hole which can be used to help align the router on the sled. The original credit for this idea goes to Stephen_Slagle who proposed the idea. The download includes DXF and SVG files for the design, the MakerCAM project file if you just need to tweak the router bit size or such, and ready to run Gcode for a 1/4 inch router bit. Note that tabs are not saved from MakerCAM so you will need to re-add the tabs. 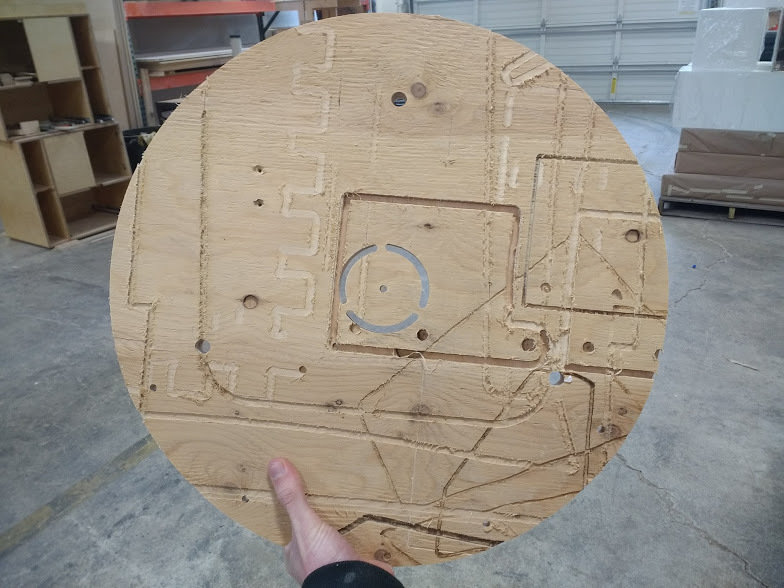 One question in these instructions is that you can nolonger use the plastic base of the router as a drilling guide, how do you mark and accurately drill the holes for the router? Please propose edits to this page with recomendations. The garden is a project of the Maslow CNC community. All content available under license of creator.